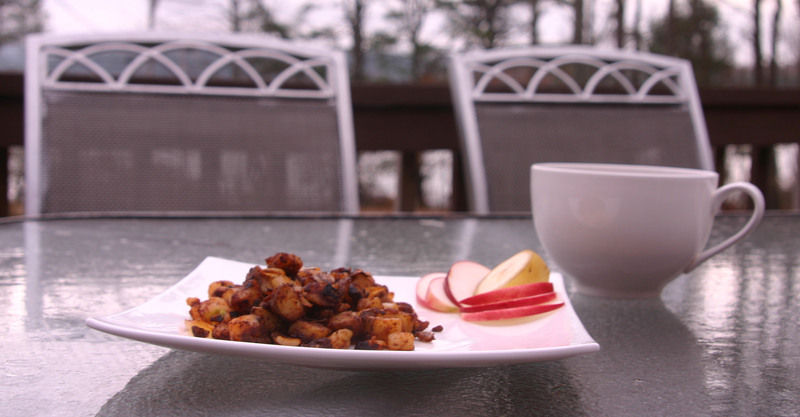 These potatoes are what we serve whenever anyone comes over for breakfast. They are perfect for a brunch with friends, or for just the two of us. I often serve them with tofu scramble and waffles or pancakes. When it is just my husband and I we eat the whole pan of potatoes and call it good. Heat oil in a large skillet over medium heat for about 20 seconds. 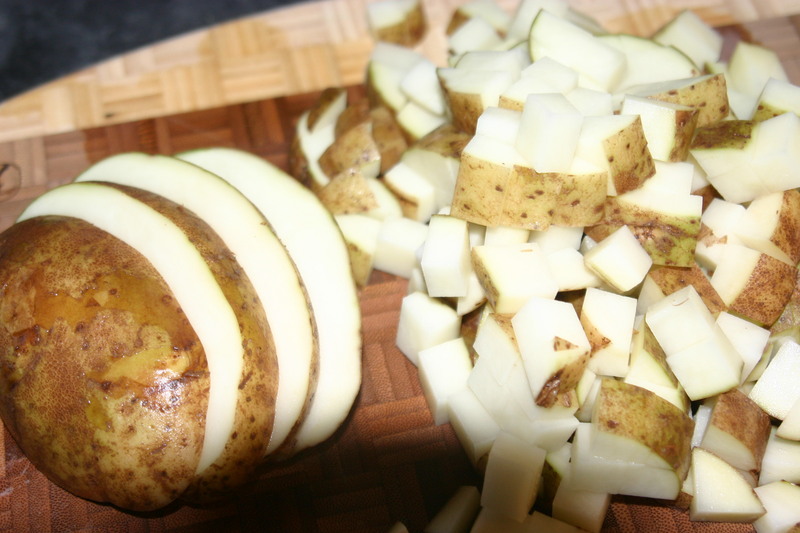 Add potatoes and cook covered until potatoes start to soften, about 5 minutes. Remove cover and continue to cook uncovered until potatoes are tender and starting to brown. 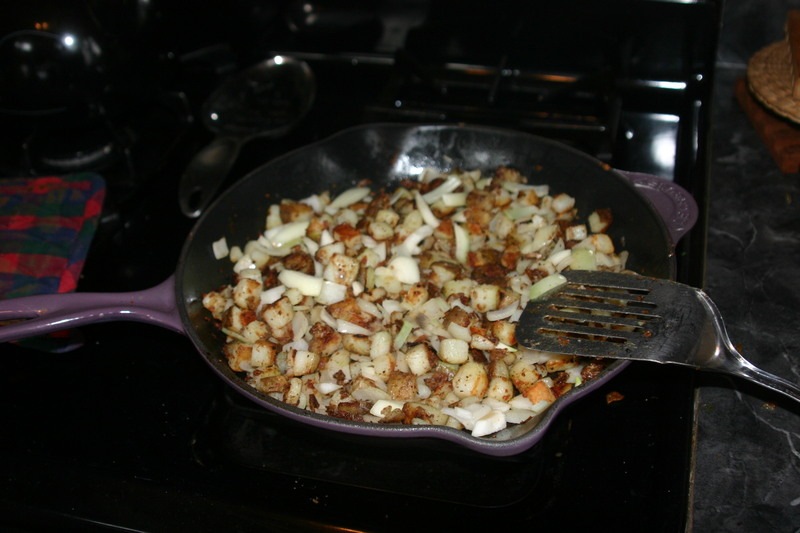 Add onion and cook 5-10 minutes more until potatoes are brown and crispy and onion is cooked through. Just before everything is cooked through add all the spices and give it a taste. Add more if your potatoes were really big!